Fusion 9 стал доступен для скачивания! • Lag free, 90 fps smooth viewing of 360° images and 3D scenes. • Support for both Oculus Rift and HTC Vive headsets. • The Texture tool will now use red-green channels as a UV map, if UV channels aren’t found, for easier stitch mapping. • Spherical Camera - renders 360° captures of 3D scenes as a cubemap or latlong/equirectangular image. • PanoMap - converts between latlong/equirectangular and various cubemap image formats, and also allows spherical rotation. • LatLong Patcher - extracts an undistorted 90° window from a latlong image for paint fixes etc, and applies distortion to map fixes or new elements back into latlong images. • Fusion is now certified for Apple ProRes on all three platforms. The unsupported 32bit QuickTime framework is no longer used on Windows. 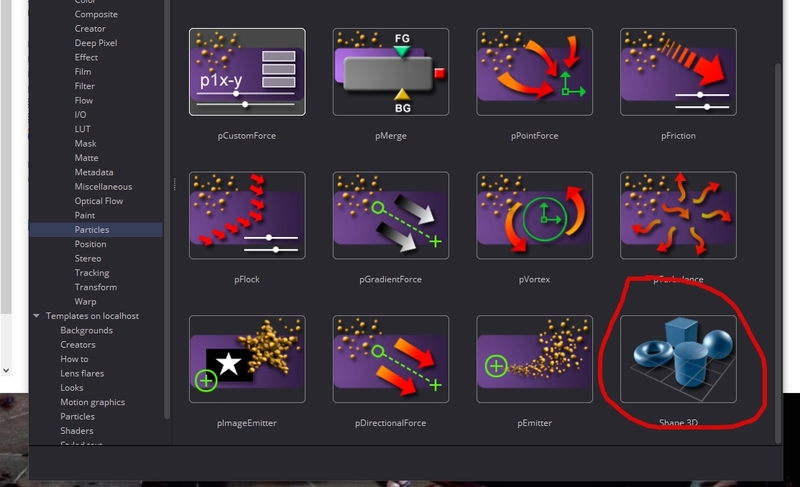 ⁃ Fusion Studio can load and save Apple ProRes on all platforms. ⁃ Fusion (free) can load and save Apple ProRes on macOS. ⁃ Fusion (free) can load but not save Apple ProRes on Windows and Linux. ⁃ Render Node can load but not save Apple ProRes on all platforms. • H.264 support on macOS and Windows. • FFmpeg can be installed to further increase codec support. • Point Cloud has updated features. New channel difference Delta Keyer and Clean Plate tools as well as updates to Ultra keyer. - A classic channel difference keyer, with color bias and spill replacement. - Supply a clean plate to improve shadows and separation from background (a background colour still needs to be selected to indicate the dominant background channel). - Improvements allow a wider range of background colours (not limited to fully saturated blue and green). - Separate solid and transparent garbage masks. - Can use background subtraction rather than post-multiply to remove the screen. Build a clean plate for DeltaKeyer when a proper clean plate isn’t available. И еще много чего интересного в этом мощном релизе!!! А у меня такой не скромный вопрос, а реально она будет стоить 299 зеленых ? Да, это официально объявленная стоимость.. У реселлеров стоимость может отличаться.